Today we practiced our circles and ovals in the PreK classes. 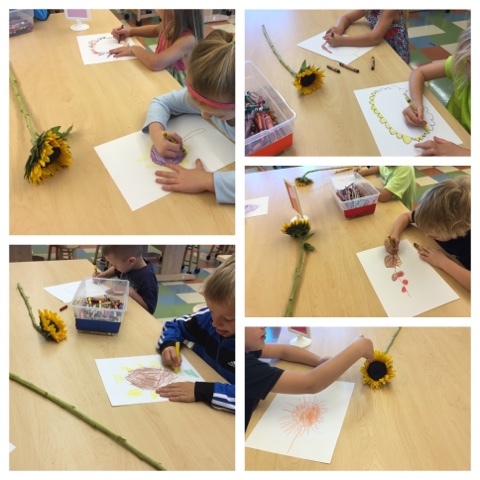 We had real sunflowers at our tables that we were able to touch and feel the different textures. We were also able to practice our coloring skills as we worked on filling in our "white spaces" and coloring in one direction. 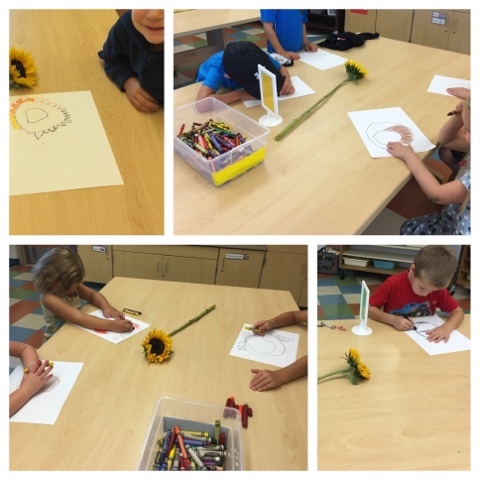 We decided to bring our work home so we could share with our families what we learned about shapes and sunflowers!